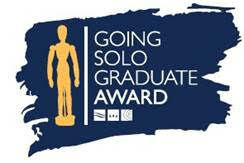 The Going Solo Graduate Award, originally launched in 2001 is designed to assist emerging Meath artists in the earliest stages of their artistic careers. Welcoming submissions from recent art graduates who are either originally from, or currently residing in County Meath, The Going Solo Graduate Award offers one lucky artist the chance of winning a professional solo exhibition and €1,000 combined materials stipend and purchase prize. The exhibition will be hosted in the Toradh 2 Gallery in Kells’ newly refurbished Courthouse and presents the winning artist with a platform from which to launch themselves and present their work. The exhibition will run from 2nd September until the 1st November 2019. The award is open to graduate artists from recognised Irish Art Colleges including: National College of Art and Design, Dublin Institute of Technology, Institute of Art Design and Technology Dun Laoghaire, Galway Mayo Institute of Technology, Ulster University, Sligo IT, Crawford College of Art, the Burren College of Art and the Limerick School of Art and Design. The Going Solo Graduate Award is a wonderful opportunity for graduate artists to gain experience in professional exhibitions under the guidance of Arts Office Staff. It also presents the winner with a cash prize for materials and acquisition of an art work which will then be added permanently to the County Art Collection. Past recipients of the award include artists Aileen Hamilton, Marc Corrigan, Carol O’Connor, Emily Bruton, Sinead Fahey, Sarah Standing and Evelyn Broderick. The award is open to artists who graduated from Art College in 2017, 2018 and those due to graduate in 2019. The closing date for receipt of applications is Friday, 1st March 2019 at 5pm. For further information and to obtain an application form, please contact Aedín McGinn, Assistant Arts Officer on 0469097414 or email: artsoffice@meathcoco.ie.